Can targeted cellphone advertising by a lawsuit defendant constitute jury tampering? 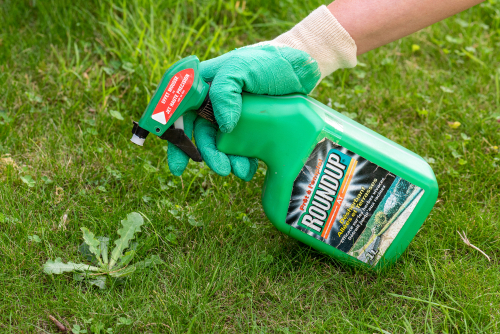 That was one of the issues earlier this month when lawyers for plaintiffs in a case against the makers of the Roundup weed killer asked a California judge to block the company from running ads about Roundup safety and product studies, report the Recorder and the Northern California Record. Plaintiffs Alva and Alberta Pilliod claim that the weed killer, made by Monsanto, gave them cancer. Their lawyers cited a Wall Street Journal ad on product safety that ran the first day of voir dire, as well as targeted cellphone advertising known as geofencing or geomarketing, according to the Recorder story. Geofencing sends pop-up ads to cellphone apps within targeted geographic areas. The plaintiffs’ lawyers asked Judge Winifred Smith of Alameda County to ban the targeted ads within a quarter of a mile of the courthouse. Smith denied the motion. “The court is not persuaded that the alleged geomarketing is materially different from carrying signs outside a courthouse or carrying placards or wearing buttons inside a courtroom, or that it requires a different judicial response,” she ruled April 4. “Plaintiffs have not met their burden to show that Monsanto’s speech presents an actual threat of imminent prejudice to plaintiffs’ right to a fair trial nor shown that there are no viable alternatives to a prior restraint on Monsanto’s speech,” she said. Lawyers for Monsanto said it had a right to communicate accurate product information, especially because plaintiffs had run anti-Roundup ads locally on cable networks. Bayer AG, which owns Monsanto, told the Recorder that four decades of science support the safety of Roundup. The company said its “advertising is national in scope” and does not single out any part of the San Francisco and Oakland market. The Pilliods’ trial is ongoing. It is the third Roundup cancer case to go to trial. Jurors in the first case awarded $289 million in damages, but the amount was slashed to about $78 million in October. Jurors in the second case awarded about $80 million March 27, according to the Northern California Record. Throughout the nation, more than 11,000 Roundup suits are pending. The Recorder calls geofencing “a new and growing technology” that has been embraced by law firms. Firms have used the technology to send ads to cellphones of patients in emergency rooms, pain clinics and chiropractor offices.